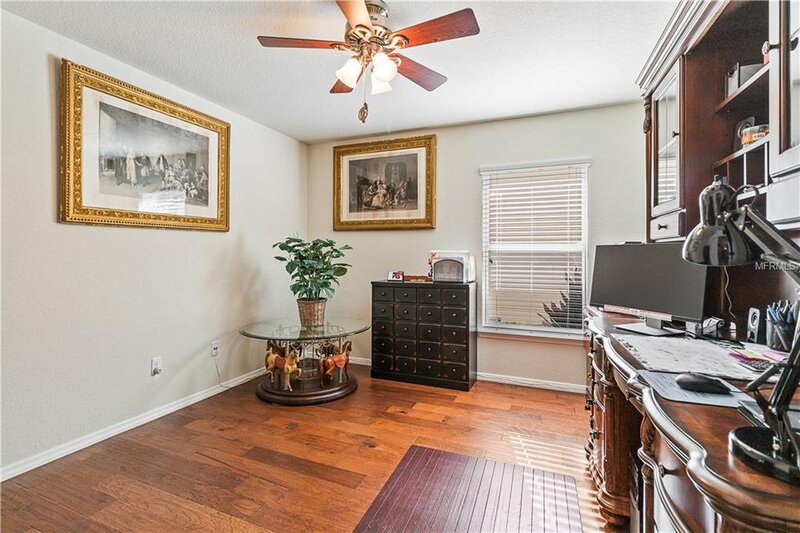 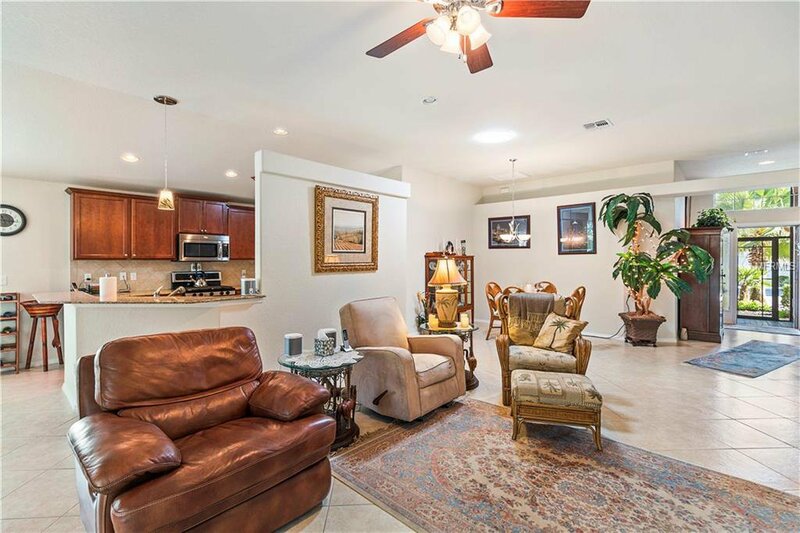 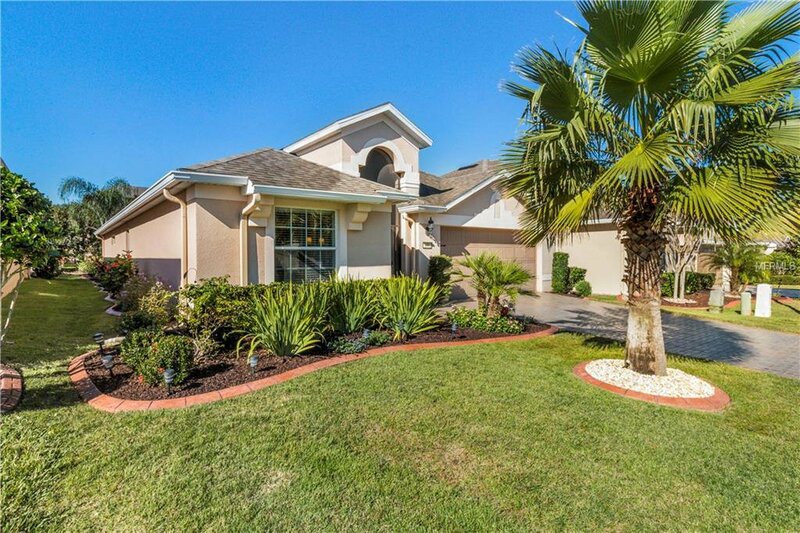 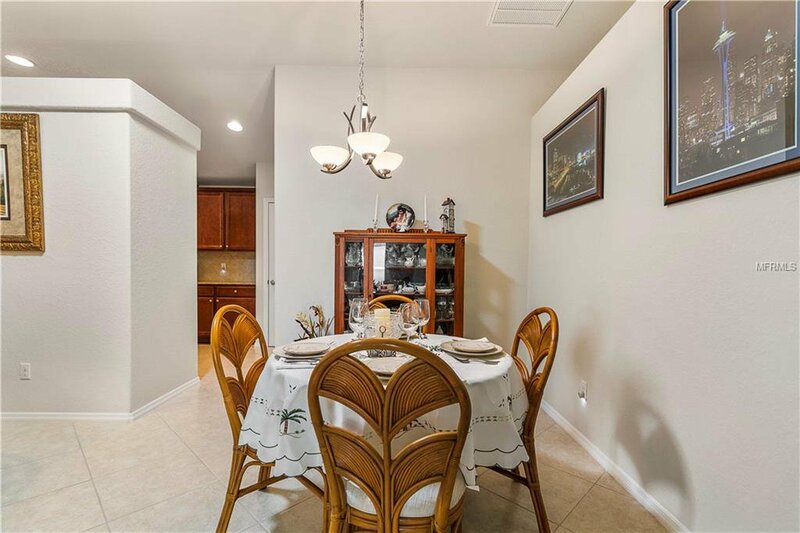 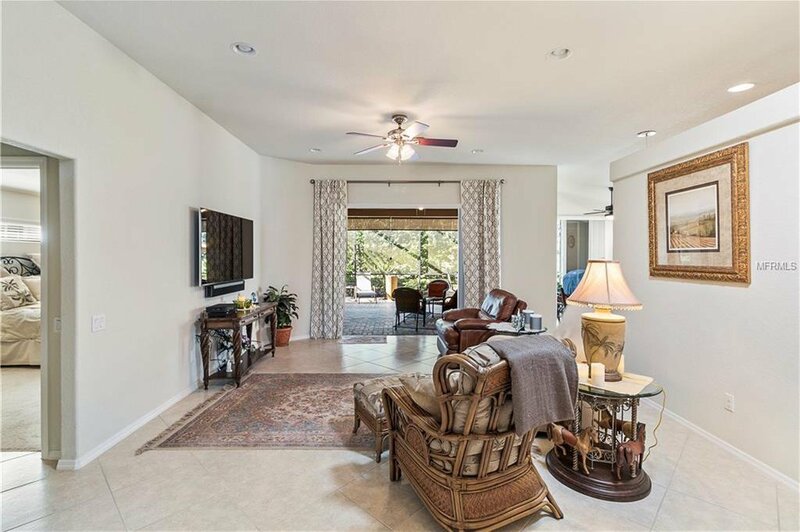 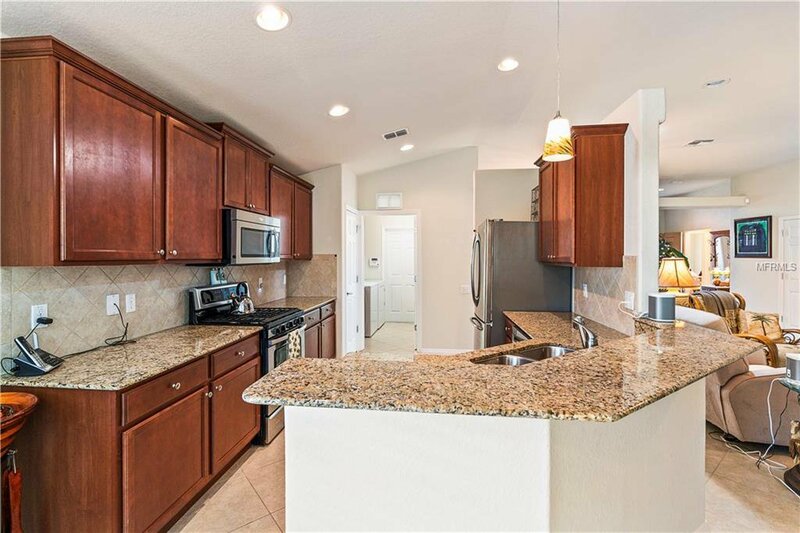 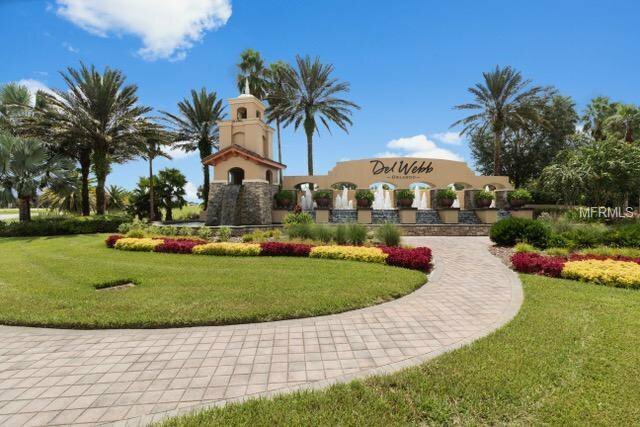 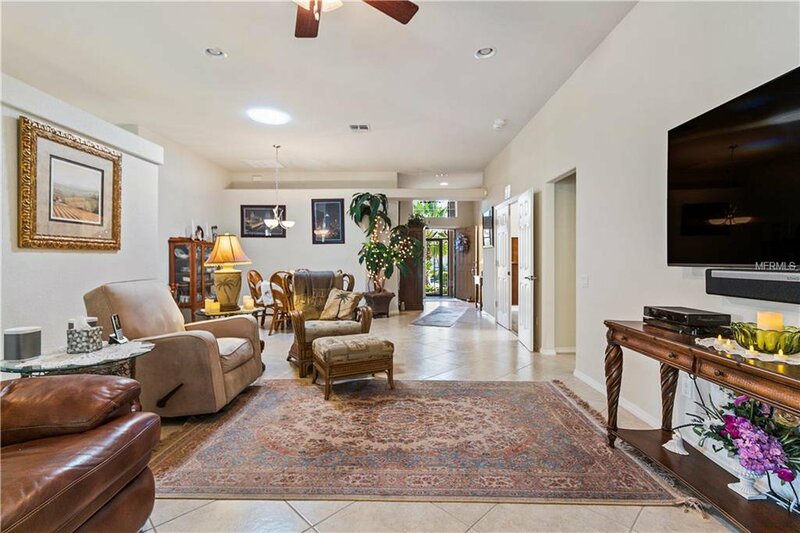 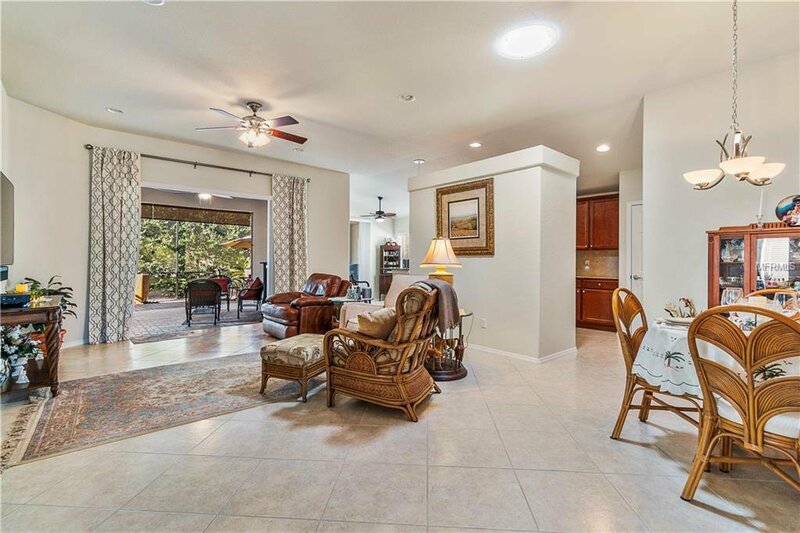 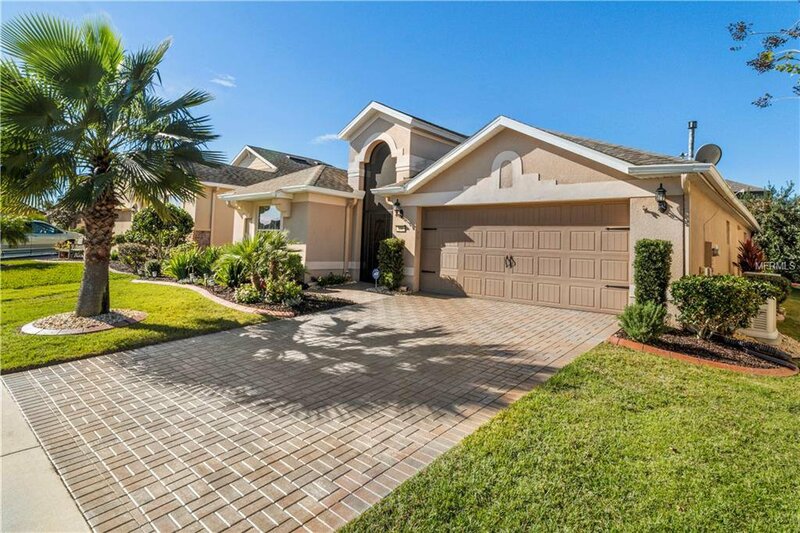 Popular Madrid model in the 55+ gated-community of Del Webb Orlando. 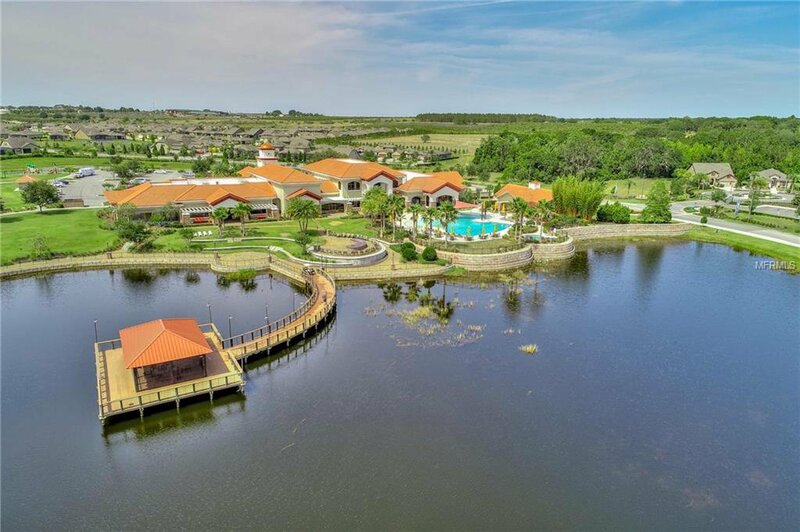 This home offers outdoor Florida living at its finest. 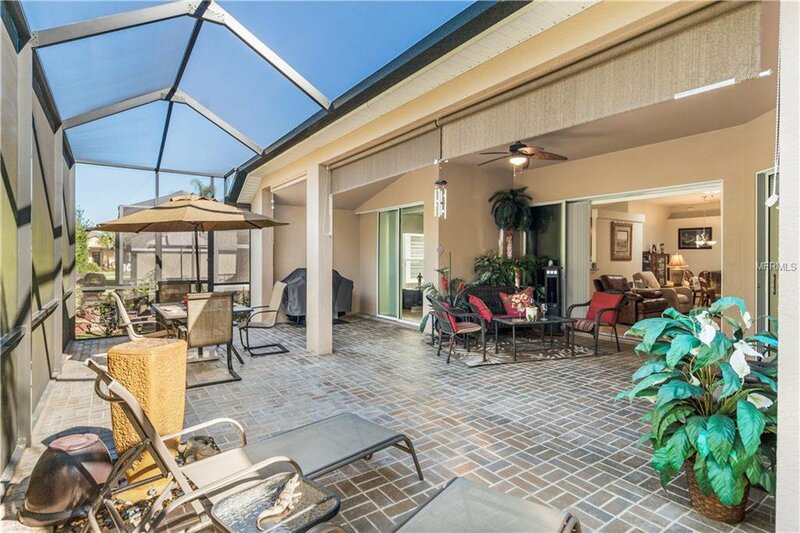 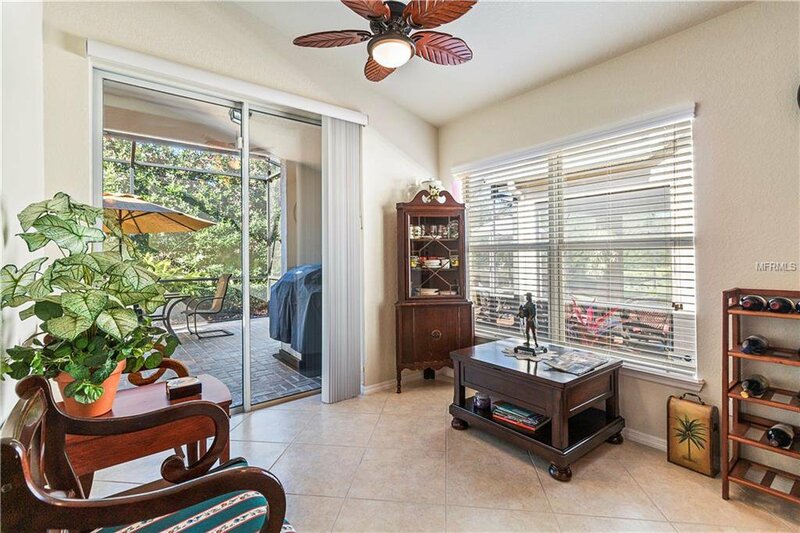 Large lanai with 2 pocket sliding doors allows you to open the entire back of the home complete with fountain, natural gas grill and privacy shades. 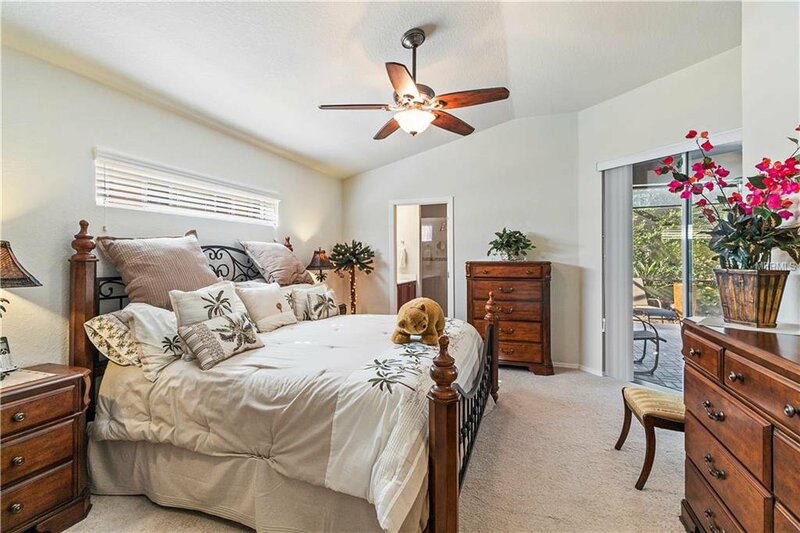 Lanai also may be accessed through the kitchen, master bedroom and master bath. 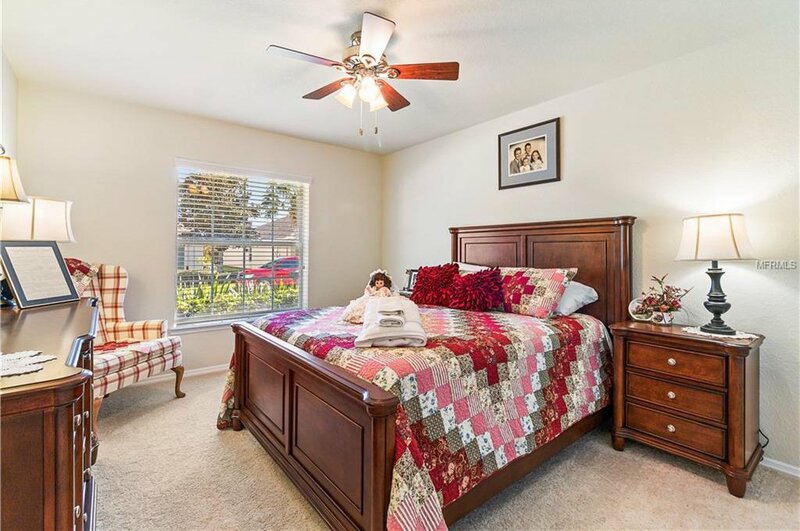 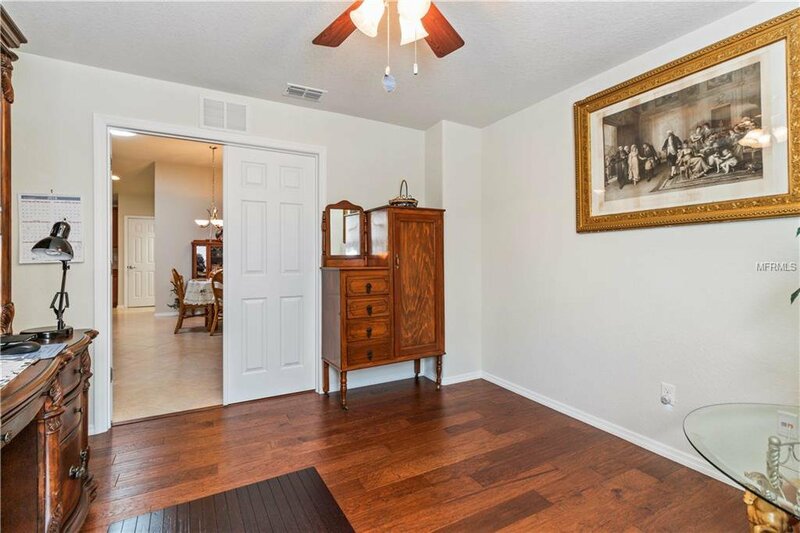 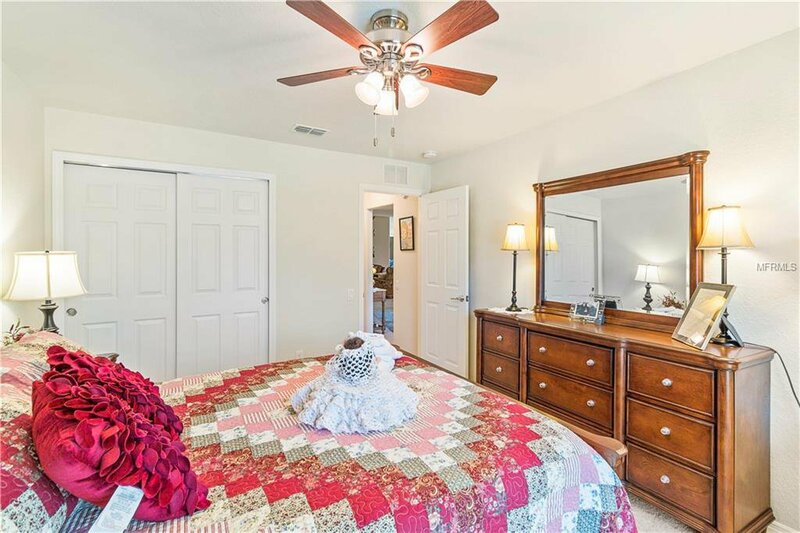 The master bedroom, with a large walk-in closet, is located in the rear of the home. 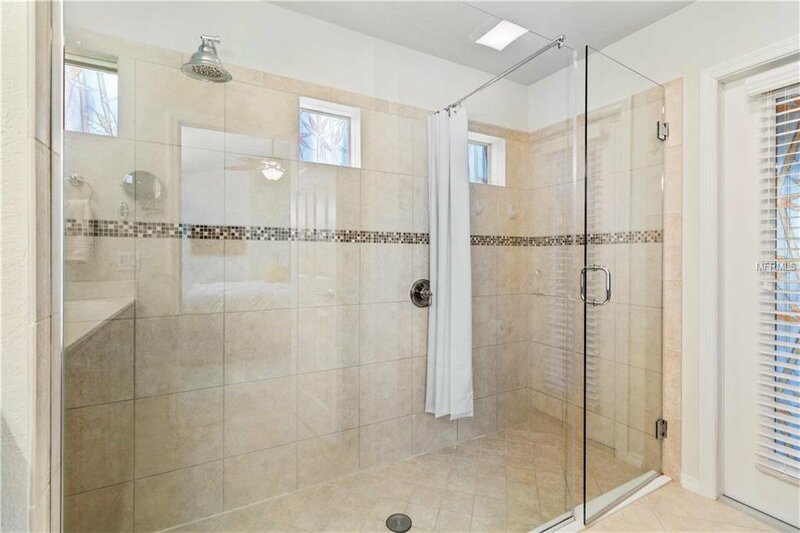 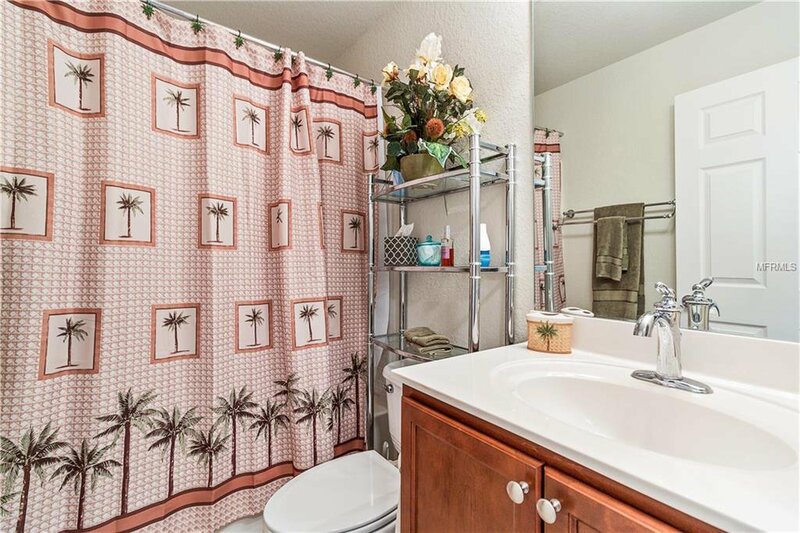 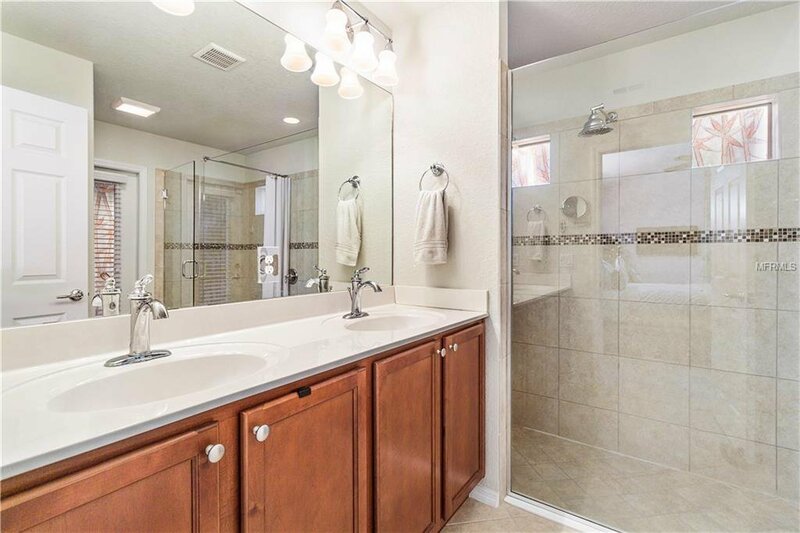 The master bathroom boasts a large shower unique to this model. 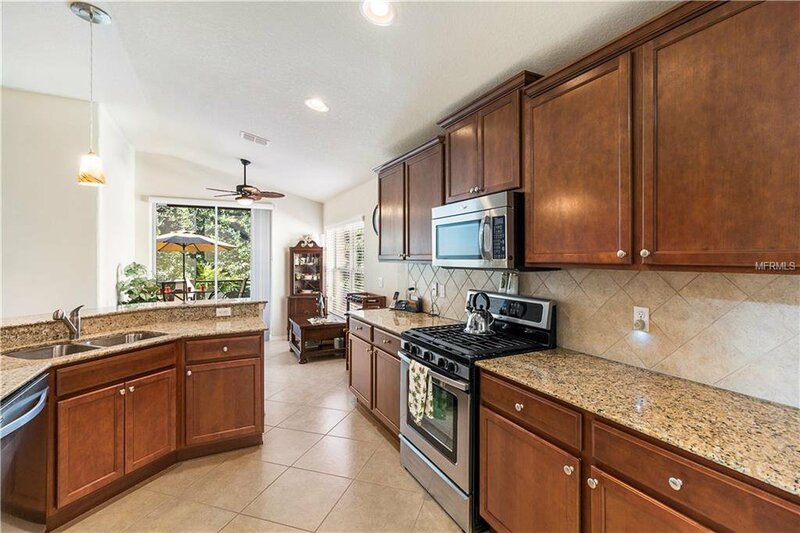 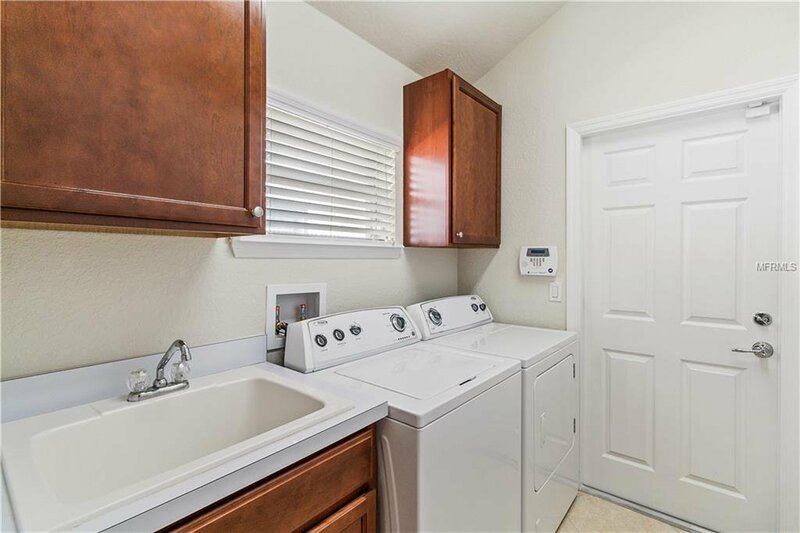 The gorgeous kitchen includes wood cabinets with granite counter tops. 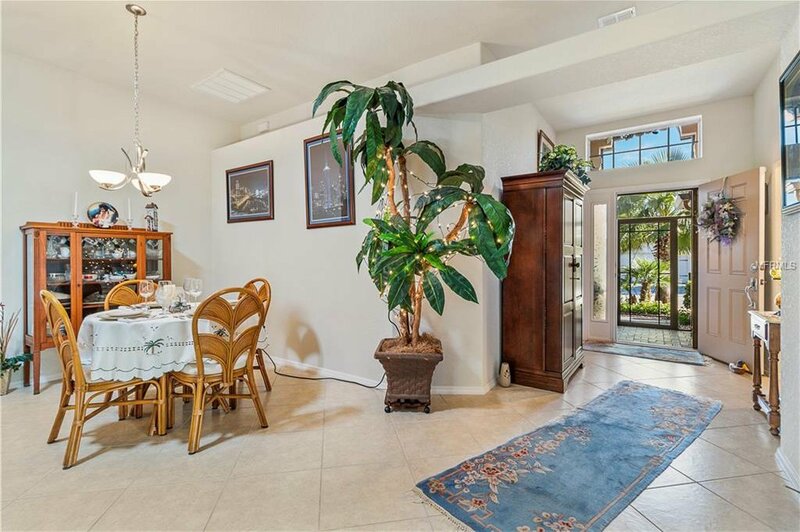 Great room/dining room combo features a sun tube that brightens the whole home. 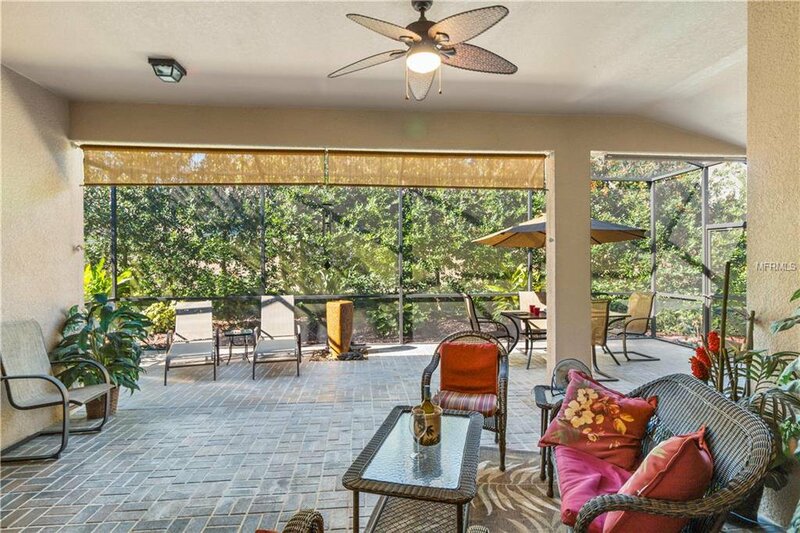 Screened front porch area provides a convenient covered entry. 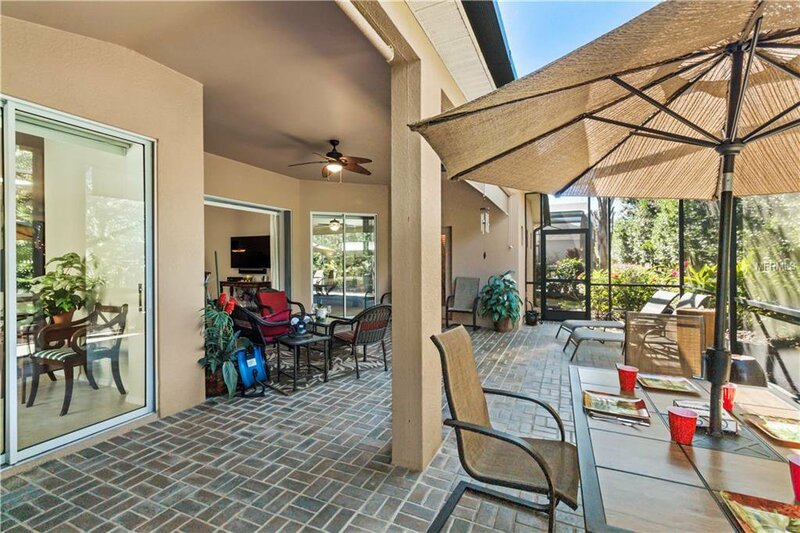 The garage includes a privacy screen. 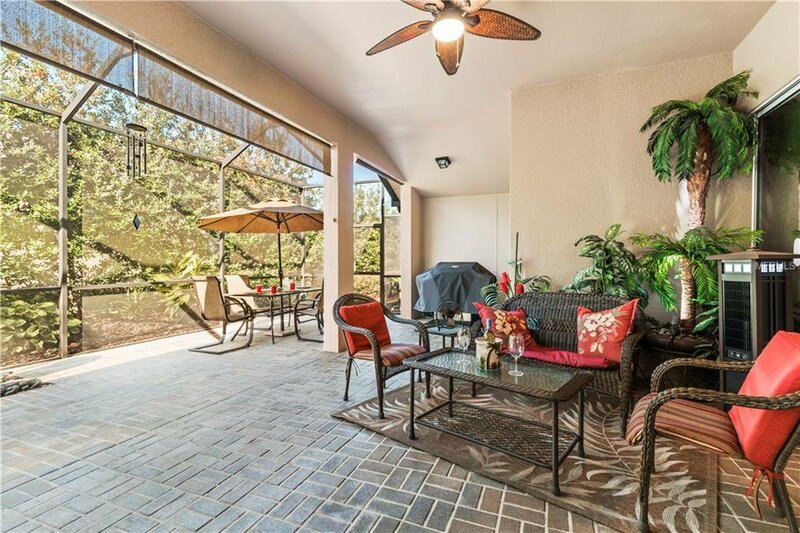 A full-house gas generator is also included, as well as updated curbing and landscaping. 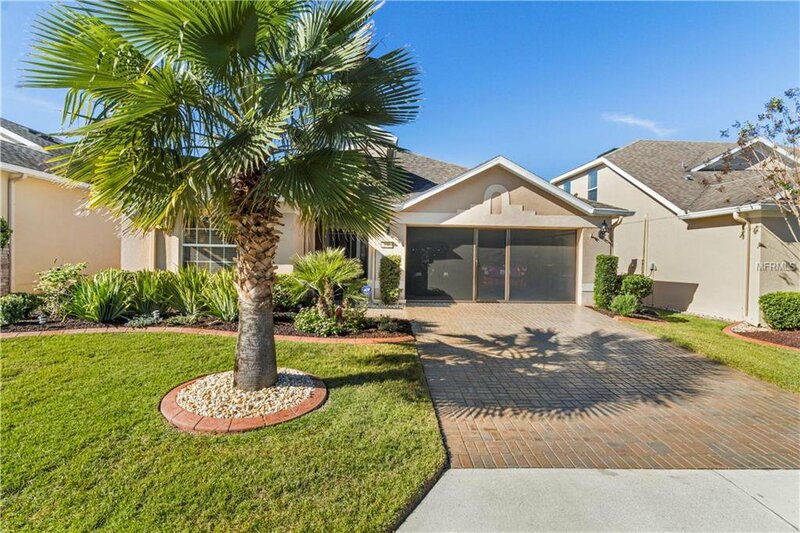 Additionally, the home is protected with a security system. 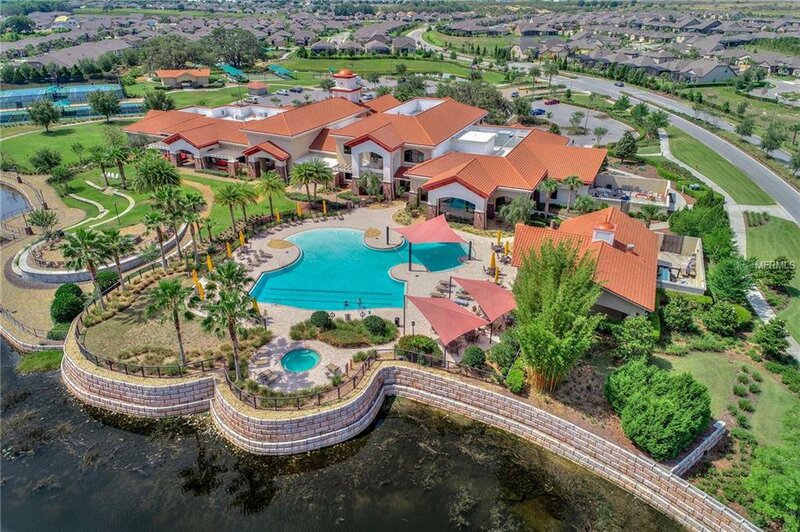 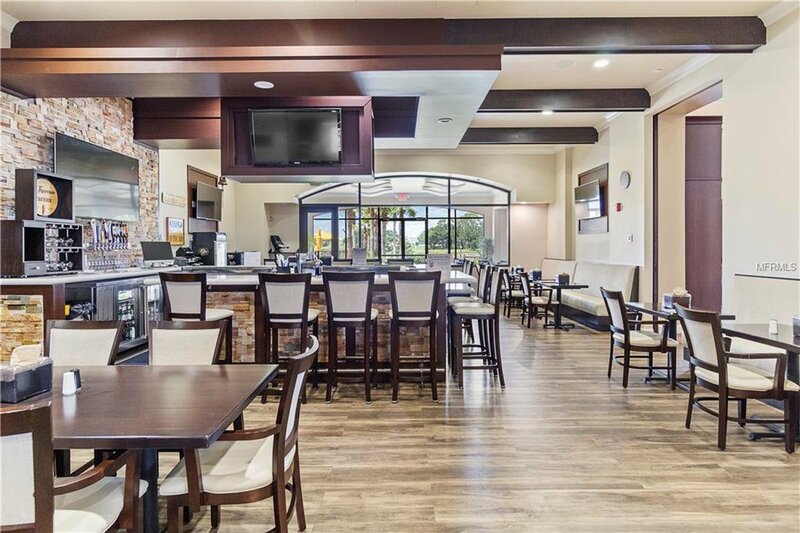 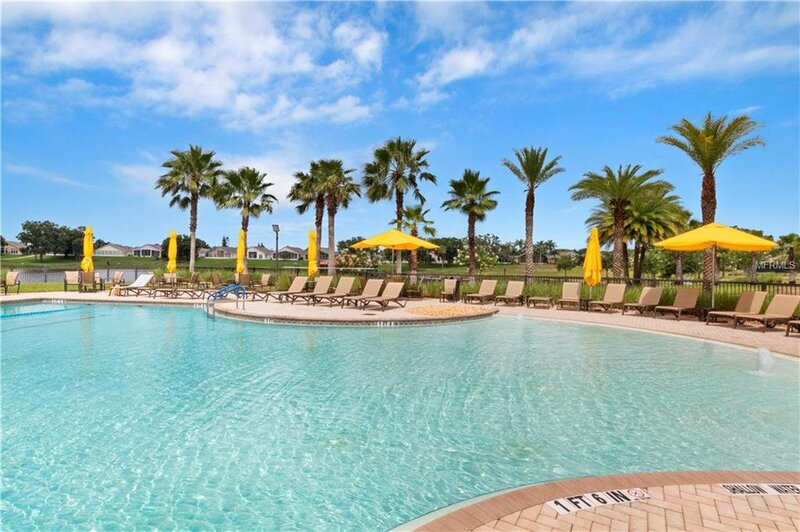 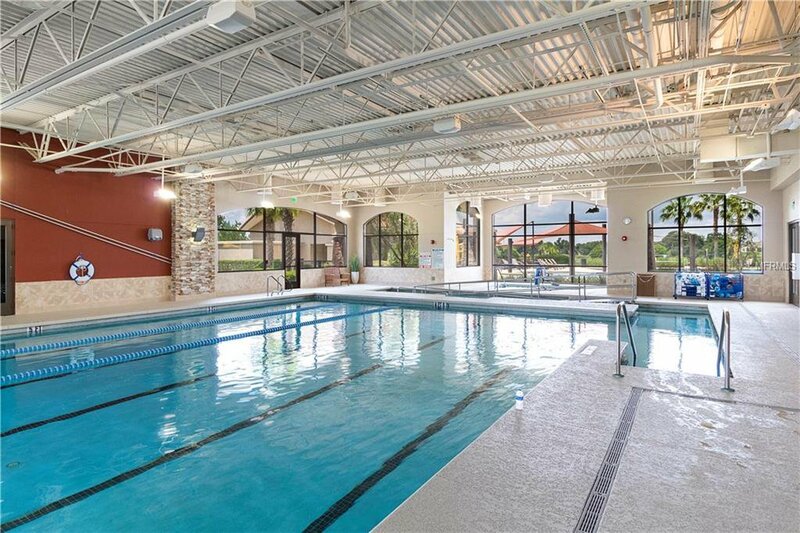 Del Webb Orlando features the 30,000+ square foot Montecito clubhouse, which has a lounge, indoor walking track, indoor and outdoor pools and spas and fitness center. 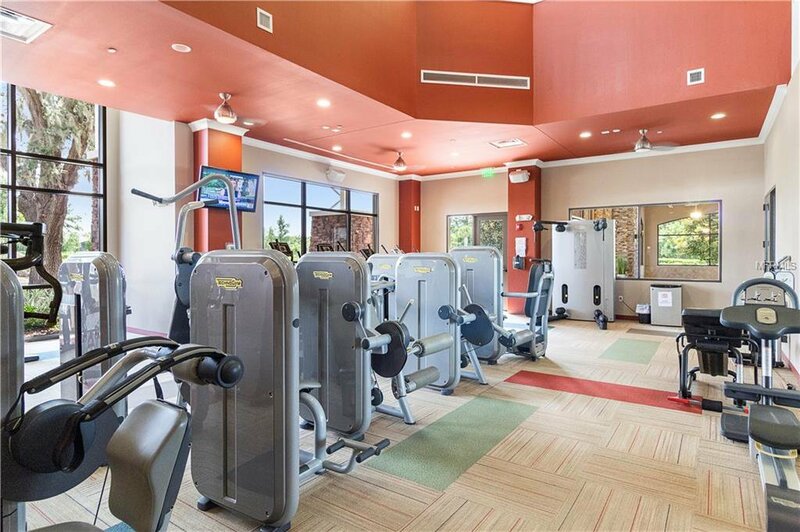 Outdoor activities include tennis, bocce, basketball and pickleball.